I have recently started trying to experiment with some basic nail art but at the moment I’m not very good at it and also not very patient. So I like anything that will give me a slightly different look but which is also quick and easy. I have tried a couple of matte nail varnishes in the past but obviously you can’t apply a top coat over the top and they really didn’t last very long at all. So when I saw matte top coats were starting to be introduced I knew these would be perfect for me. Firstly because I can create a slightly different look really easily and also this can be used with the nail varnishes I already have. 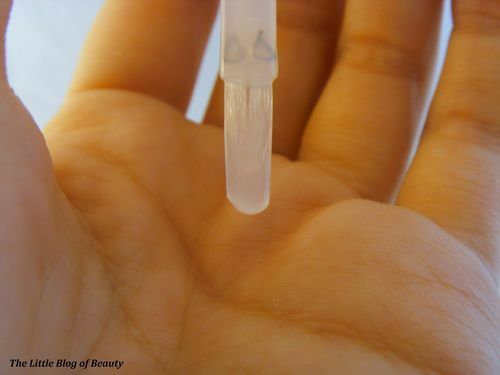 As a top coat this will also last longer than a matte nail varnish. 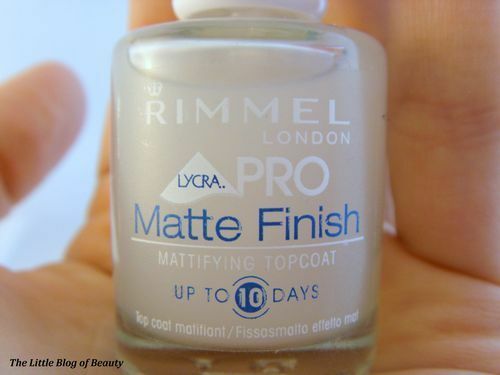 I didn’t want to spend too much money on one so I went for Rimmel’s Pro Matte Finish Top Coat. I think there may be something wrong with the brush on mine because it’s not quite even on one side but I don’t think this will be too much of a problem. 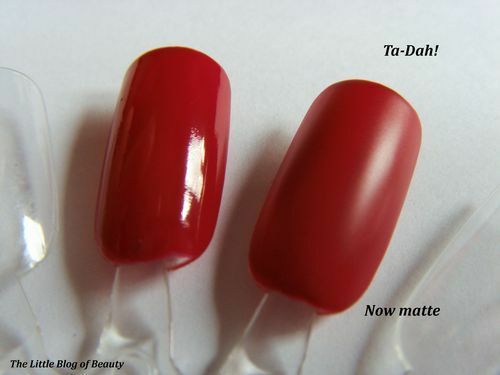 So all you need to do is apply your chosen nail colour as normal and then just apply the matte top coat over the top. You do need to try and make sure you cover the whole surface that you have painted as any areas not covered by the top coat will remain glossy and this can be quite obvious. I don’t think that this dries as quickly as some standard glossy top coats. It appears to be dry quite quickly but you do have to be careful not to catch any nails for a little while or you may end up with dents or prints in the finish. However, I was impressed by how hard wearing this made my nail varnish. Even quite hard wearing nail varnishes don’t tend to last very long on me but this lasted several days without any sign of chips. 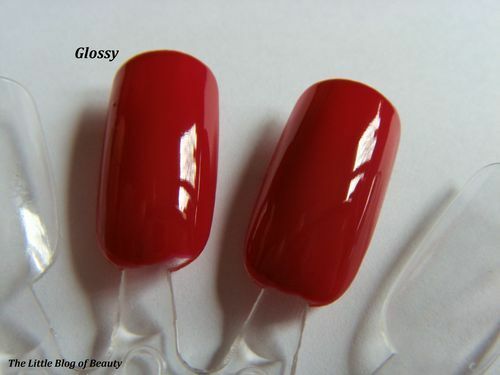 I really like the effect this gives and can’t wait to start trying out some simple nail art such as matte/shiny tips. 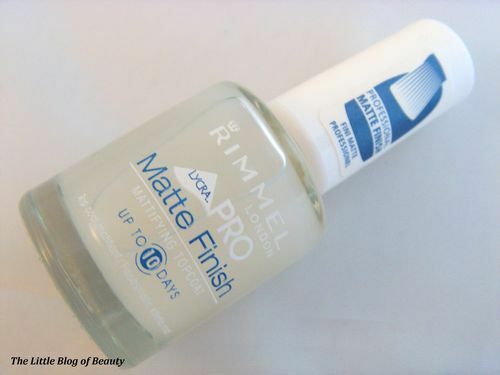 Rimmel Pro Matte Top Coat costs £4.59 and should be available anywhere that stocks Rimmel products.